The summer sun, acting on the resultant volcanic aerosol gases, causes depletion of the ozone layer, in winter the layer recovers. Misinterpretation (helped by Du Pont who had a new product to sell) of the term ‘aerosol gases‘ lead to the widespread “Ozone Hole” scare of the 1970s. 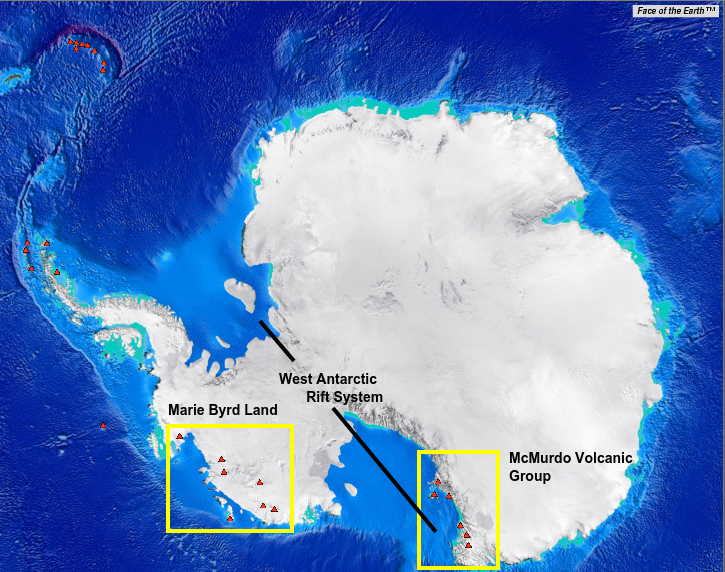 Showing the area of Western Antarctica where some limited melting is occurring (often reported); while the rest is cooling (not reported). 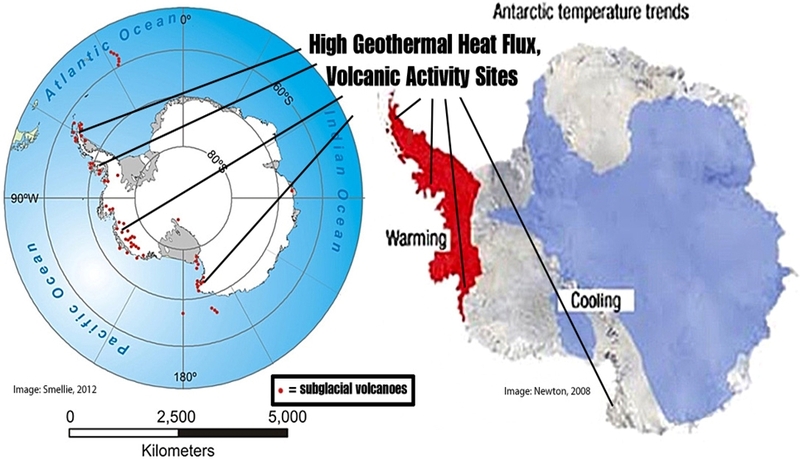 BTW, CO2 doesn’t cause volcanic eruptions & unlike CO2, volcanoes can also warm water and melt glaciers from below. All the sea ice graphs & links in one handy place for easy reference.